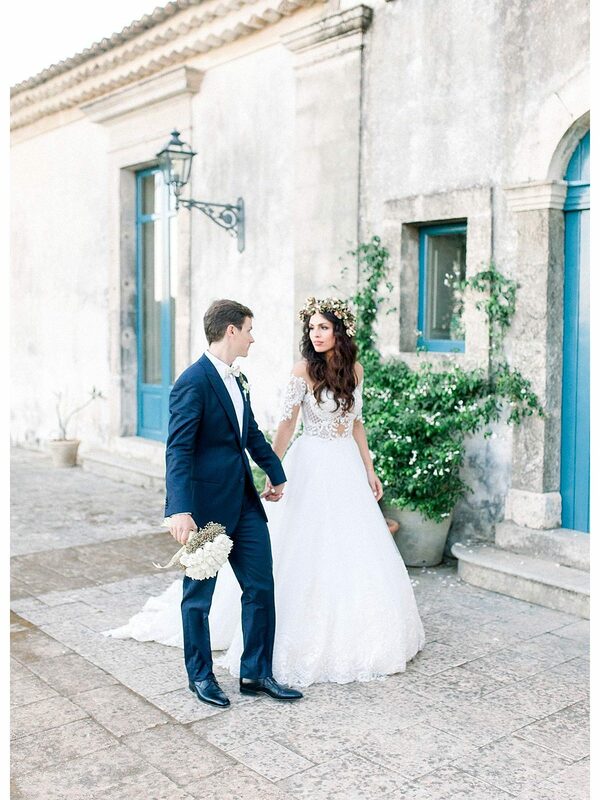 So many beautiful details at this picturesque destination wedding in Sicily, organized in a breathless Sicilian old Villa : Commenda San Calogero . The views will also have you gasping with love and have you wanting to book your own destination wedding in a heartbeat. It’s hard not too when you see the fluffy white clouds, blue mediterranean sea and dream of warmer evenings and romance. An enchanting Bride on her gold and white dress , entering with her handsome son the giant Cathedral of Ortigia , thrilled by meeting her future husband . Add a sunny day, and an amazing sunset ..what’s more for a magic Sicilian wedding ?